Acupuncture for neck pain provides opportunity for ongoing pain management without the need to depend on pharmaceutical products. For patients with long-term chronic symptoms, this is very good news, since the various neck pain drugs are known to cause many possible side effects and health risks. Acupuncture is a needle-based therapy which originated in China millennia ago. It is considered one of the pillars of Traditional Chinese Medicine to this very day and is used to treat a wide range of problematic health issues, as well as to maintain good health and wellbeing in people without specific complaints. Acupuncture is also one of the most popular complementary health therapies used worldwide and is especially known for treating neck and back pain. As with many healing arts, the skill of the practitioner will go a long way in determining the beneficial results offered to the patient. 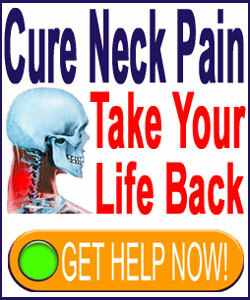 This essay details the application of acupuncture therapy for managing neck pain symptoms. Acupuncture uses the theory of energy meridians and points on the body to determine where the treatment is needed and what exactly needs to be done to resolve the root source of energy imbalances. In Chinese, this vital force is called qi, also commonly transliterated as chi. It is noted that many health concerns come about due to qi blockages, qi excesses and depletion of qi from various meridians and points in the body. By needling these points, the practitioner can re-balance the energy system and allow the body to naturally correct the symptom which resulted from the qi level issue. Acupuncture itself is not said to cure anything. It merely allows the body to find a natural balance and resolve good health holistically from inside. This, in theory, is a very good thing. Western medicine still does not understand exactly how or why acupuncture works. However, research statistics show that it certainly does work and that it can be a very effectual method of pain management for people with ongoing symptomatic concerns. Some scientists theorize that acupuncture can interfere with certain nerve signal activity, blocking pain from reaching the brain. Others believe it may stimulate natural chemicals in the body which help reduce pain and inflammation. Still others believe the main efficacy of acupuncture lies with the placebo effect. Regardless, studies show that acupuncture does demonstrate good results for most treated patients and many treated conditions. There is very little risk and no problematic interactions, dependency issues or internal organ trauma so common with the drug-based pain management methods of the west. 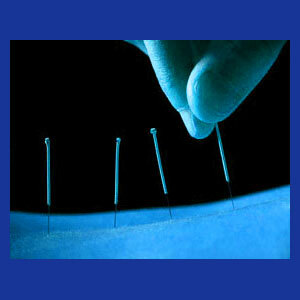 Acupuncture is a treatment which is very unpredictable for some patients. A great number of people enjoy good, albeit temporary, results from regular sessions, making this an ideal form of ongoing symptomatic treatment. Although many health issues are thought to be able to be completely cured using acupuncture, statistically, neck pain is not one of them. Few patients find that therapy relieves their underlying causative conditions permanently. Actually, I have yet to meet more than a handful who have. Patients are advised to understand the limits of acupuncture before beginning treatment and to find a truly talented and effective practitioner. Beware of doctors who promise too much and can not deliver, as this is commonplace in many complementary healing sciences. Beware also of unsterile conditions or any other health risks during treatment, although these instances are very rare. The bottom line comes down to this: For ongoing symptom relief while working towards a real cure, few modalities can match acupuncture for effectiveness and low risks. The cost may be the single negative factor, since coverage under health insurance is rarely provided and treatment can be costly.